I like to start my students on shifting very soon after starting. This is not always possible with the very youngest students, but easy sliding exercises (slide each finger up and down the entire length of the string) can be included in the lesson from the very beginning and can encourage the students to have good posture. I begin with teaching Fourth Position and then add Second and Third Positions. A quick foray into Seventh Position with the C Major Scale Book helps my students prepare for the Romberg E Minor Sonata, 3rd Movement. Fifth Position and the higher positions come next. 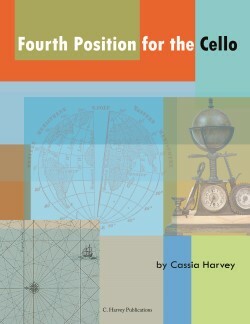 These books are the foundation of teaching the positions on the cello. Exercises supplement the methods. Once a student has learned the basics of shifting, using the positions in etudes is an important step. Using the intermediate positions in duets can be a rewarding way to cement and refine crucial skill. As the student progresses through the study of the positions, it is essential that the repertoire be appropriate.